Flowers white. Vine with perennial tubers. Tendrils with 1-2 branches; leaves simple, angled or lobed. 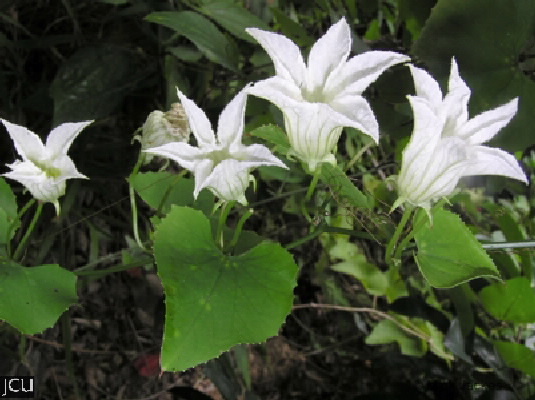 Separate male and female plants, petals white, 3 stamens in male, staminodes in female. Fruit fleshy, scarlet 2.5-6 cm long, 1.5-3.5 cm wide.